I was browsing through the fabulous library at a dear friend's house, feeling completely like a kid in a candy store. I wanted to pick this one and that, till a quirky-looking book with a big smiley on it caught my eye. 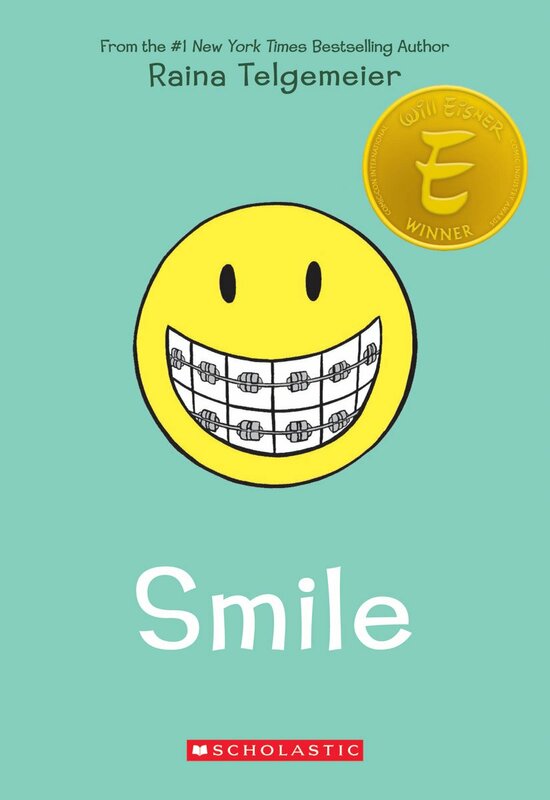 The smiley had huge teeth and wore braces, and the book was titled 'Smile'. 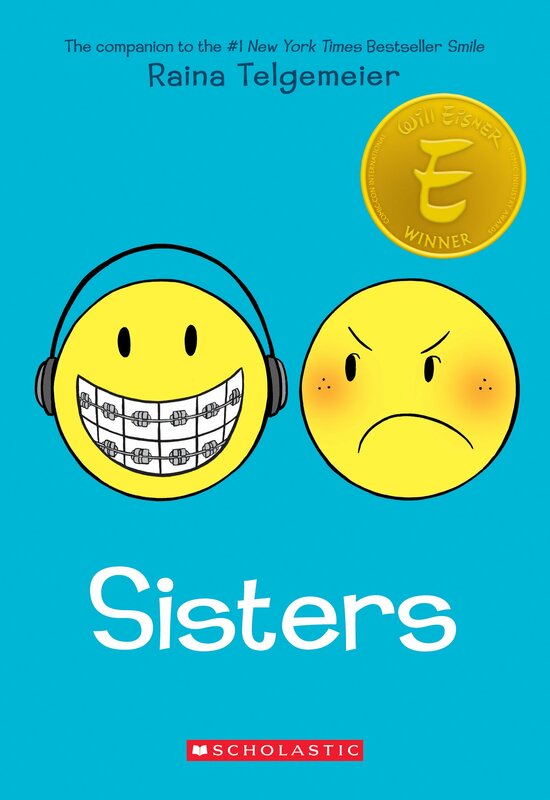 Raina Telgemeier's true story makes you smile as widely as the one on the cover, mostly because you relate to it at many levels. Adolescence is anyway full of ups and downs, life in middle school is nothing if not full-blown drama and then you throw in a series of unfortunate accidents requiring braces and other dental interventions. Our spunky heroine however emerges strong at the other end and grows up to tell (and illustrate) the tale. Graphic Novels can be a tricky media - cram too much into a panel and it gets too busy, too little and you could make it boring. Telgemeier seems to have found the perfect balance and manages to convey her thoughts brilliantly. A big smile for this one. I have two, and have brought two into this world. Sisters. There was no way I was not going to get this book, even if I had to wait for weeks for the book to get back into our library. Raina is waiting for her baby sister to arrive. Having both experienced this firsthand and then seen it again with my firstborn, I know how exciting this can be. Baby arrives and you find it's not exactly like you'd thought. The baby takes up too much attention and makes too much noise and mostly ignores you. Eventually she grows up but still acts like a baby when it's convenient for her. However nobody is allowed to be mean to your sister, except you of course! All this with full family drama in the background. 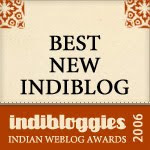 A baby brother arrives and boy does it change things! Telgemeier tells it like it is, and you once again find yourself smiling all through.